Do you want healthier, shinier looking hair, without spending too much money in an expensive products or going to a salon? Actually you can do it in your home! And it's very affordable and friendly to your hair. 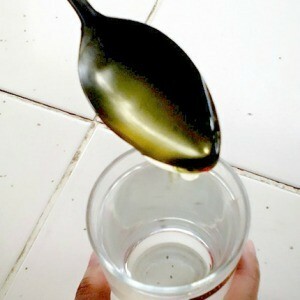 You only need a 1 tablespoon of honey, and a 1 glass of lukewarm water, then mix it well. After you shampoo your hair and rinse with water, pour the glass of honey water on your hair slowly. Make sure to cover from the scalp to the tip of hair. Leave it for 5 minutes and rinse again with water. When it's dry, the result you'll have healthier, shiny looking hair.